The U.P. Distinguished Alumni Awards are intended to recognize individual U.P. alumni for their outstanding achievements that bring about substantial benefits to society and distinct honor to the University. Recognition is given to exceptional contributions in areas or fields that impact on the community in the U.S. (local, county/city, state, or national) or at international level, in which the alumni have been active. The awards are given to those who have been nominated by their fellow U.P. alumni and/or alumni groups in the U.S. The nominees need not know that they are being nominated. 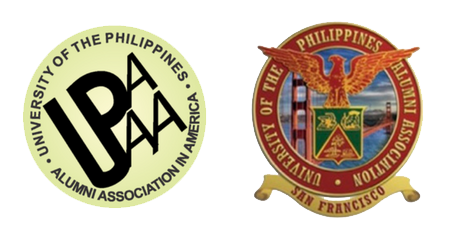 Evaluation and selection is made by the UPAAA Awards Committee co-chaired by Dr. Francis Sy and James Cortes, UPAASF Chairman of the Board of Directors. INTEGRITY – there is no serious concern or challenge to the nominee’s personal integrity. The UPAAA Board will give special recognition to individuals and alumni groups who have demonstrated exceptional work and outstanding achievements in pursuing the goals of the University, the U.P. Alumni Association in America Inc. and/or alumni groups in the U.S. They shall be nominated by any UP alumni or alumni groups, chosen by the UPAAA Committee on Alumni Awards and affirmed by the UPAAA Board. Their outstanding achievements, work in progress and moral integrity shall be considered. The individual nominees must have rendered meritorious service to the U.P. Alumni Association in America directly or through a special project of UPAAA within a recently reasonable period. The individual nominees may also be recognized for his/her exceptional activities or projects which benefit not only his/her communities in the U.S., but also the University and the Philippines in general. This award is open to any UP alumni groups in the U.S., for their meritorious and exceptional activities, projects and other accomplishments which benefit not only their members and communities in the U.S., but also the University and the Philippines in general. This recognition shall be given to families consisting of at least three generations of U.P. alumni who currently live in the U.S. This is given to UP alumni in the U.S. who have distinguished themselves as leaders in their own communities or professional societies, bringing the mark of a UP education in his/her community or profession. Other fields or areas of award may be added to the foregoing list as defined by the achievements of a deserving nominee. 1. This is an open nomination process and the nominations can be submitted by UP Alumni or alumni groups. letter/statement on the outstanding work, achievement, accomplishment or performance on which the nomination is made and the justification for giving the awards. 4. Nominations should be received via email not later than June 15, 2019. Only complete nominations shall be accepted. 5. The UPAAA Alumni Awards Committee shall deliberate on the nominations. The Committee may request for additional information or documents from the nominators. The Committee’s decisions are final. 6. The UPAAA Alumni Awards Committee will immediately notify the awardee of her/his selection for the award. In the event that the awardee declines to accept the award and/or fails to attend the awarding ceremonies, the UPAAA shall reserve the right to withdraw the award. 7. Awardees’ recent photographs shall be submitted via email upon request. 8. Not all categories may be given awards every year. Sometimes there are no nominees in a certain category, or the nominees do not meet the standards for granting the award. 9. The awardees must attend the presentation ceremonies during the UPAAA Grand Reunion and Convention to personally receive their award. For the group category, the duly authorized representative of the alumni group must be present to receive the award. 10. UPAAA does not provide travel support or hotel accommodation, and it does not waive registration fees for alumni awardees.